Rigl, Emily (18??-19??) 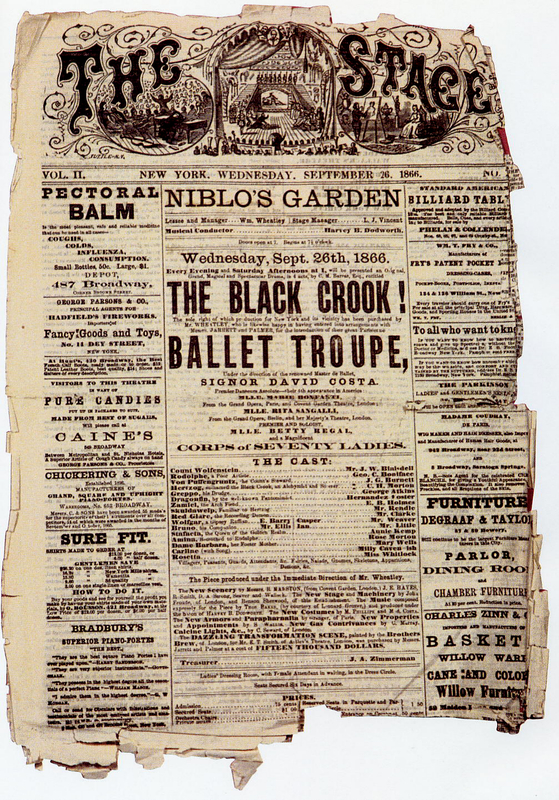 American actress who was born in Holland and first came to the US in 1866, with her better known sister, Betty, as a ballet dancer in the original production of the extravganza The Black Crook. She was in the spectacle for two years but later gave up her career as a dancer to study elocution and acting. She was invited by Augustin Daly to join his company, where she soon became a respected actress. 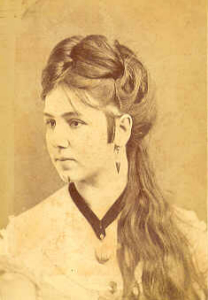 She won applause in such contemporary plays as The Big Bonanza (1875), Saratoga (1875), and Pique (1875) in which she acted with Maurice Barrymore. She also performed in the classics and received praise for her Olivia in Twelfth Night. She left Daly’s briefly in 1879 to create the role of Francesca, the deserted wife, in The Galley Slave. 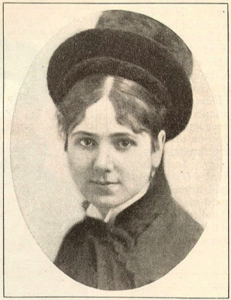 In 1901 she performed Cassie in a revival of Uncle Tom’s Cabin. She remained active all her life as late as 1907. Never a major star, she was still considered one of the best actresses of her day. 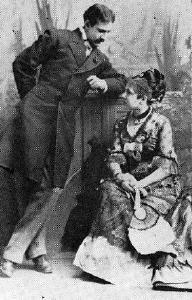 with Maurice Barrymore in "Pique" as Cassie in "Uncle Tom's Cabin"